It’s been a whole month but I’m back. I know I said the next project would be a weaving one but I’d like to share this guy first. My husband bought me some lovely yarn for Mother’s day in red and orange. There was some hinting to make socks. So I’m making one pair for him (in red) and one pair for me (in orange). In my typical way I’m making the pattern up as I go. 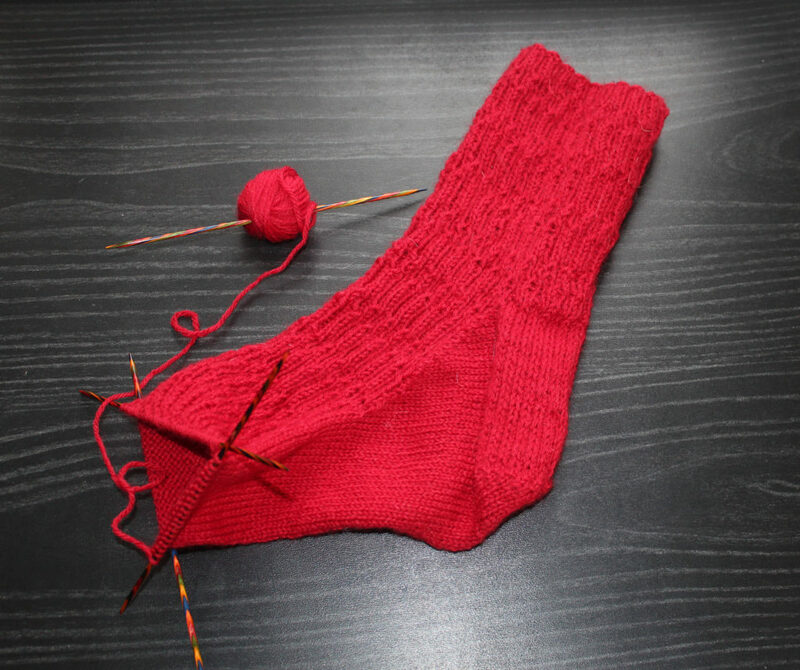 I have a basic sock recipe I follow using foot measurements and gauge. 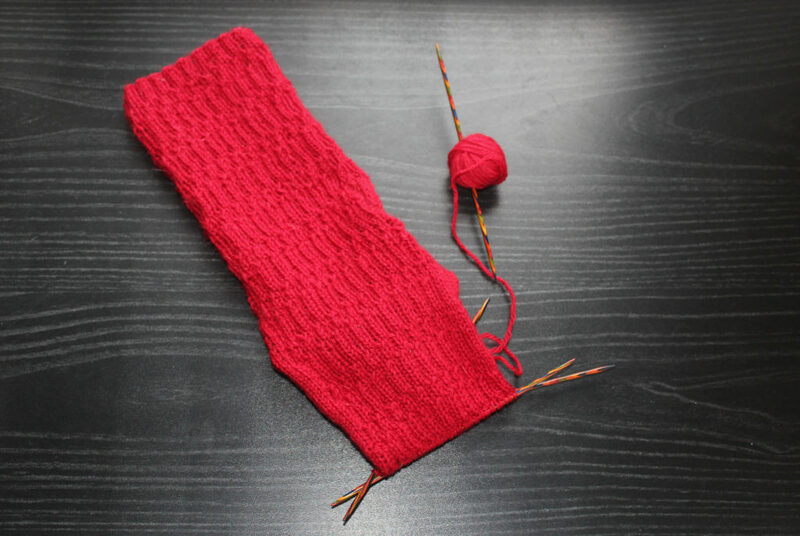 The rib is twisted every 8th round and 11th round which comes from a pattern stitch book I purchased a few years ago. I find it funny that I’m such a pattern junkie, much more than a yarn junkie, but more often than not I end up creating my own pattern. I can’t explain it. 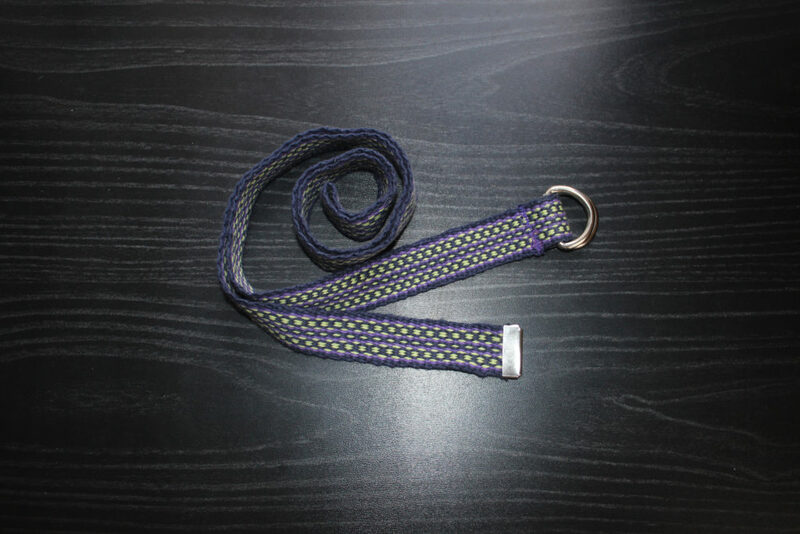 As promised here is my latest woven belt. I’m really happy with the metal belt ends I purchased. Unfortunately I think the D rings are a bit heavy for a belt. They seem to be better suited for something heavy duty like a bag. Also the belt end does fit through the D rings, but I think it would have been better to have slightly larger D rings so the belt end would fit through more easily. I’m learning and loving it!